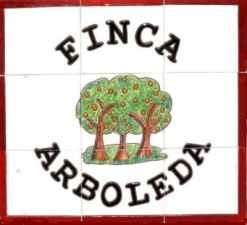 Finca Arboleda is situated 5 minutes drive from Vera near Mojacar in Costa Almeria Spain and is set in 5000 sq metres, about 1.25 acres. 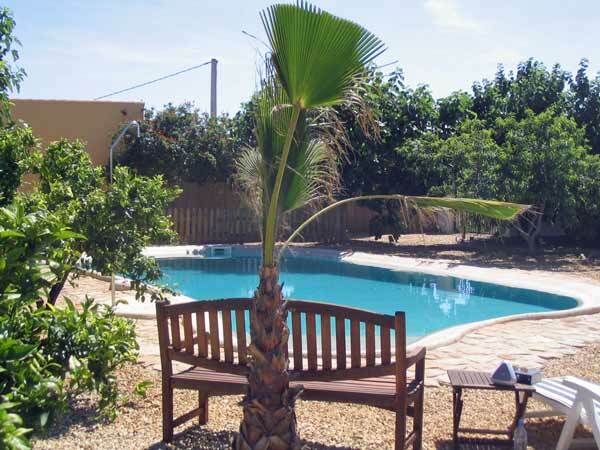 Swimming pool, the beautiful private 10 x 5 metre Pebbletec pool is only shared between people staying at Finca Arboleda. It has a natural salt purifying system so the chlorine is hardly noticeable and the salt content is only the same as a human tear. The garden is set on three levels. 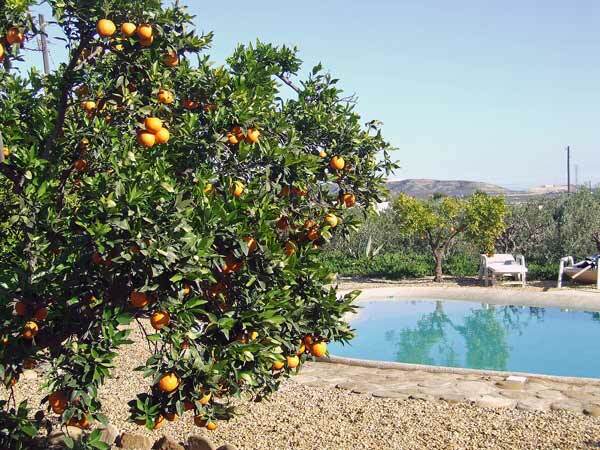 Our house, the Orange Grove and the pool are on the top level, the middle level is planted with olives and the Old Stables are on the lower level with more trees. 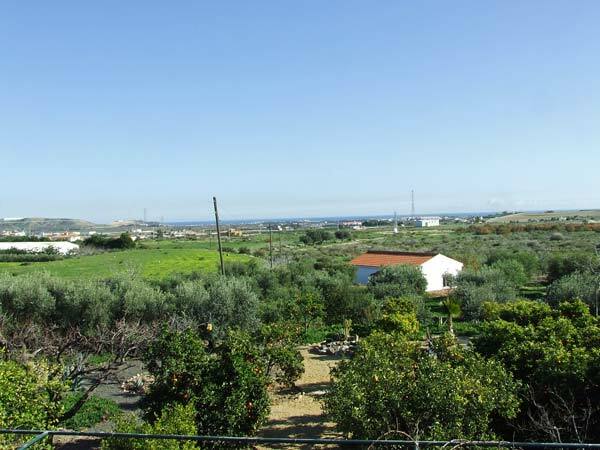 Overall the garden is planted with over 100 mature trees including 55 olives from which we press our own extra virgin oil that you welcome to try and we offer for sale. 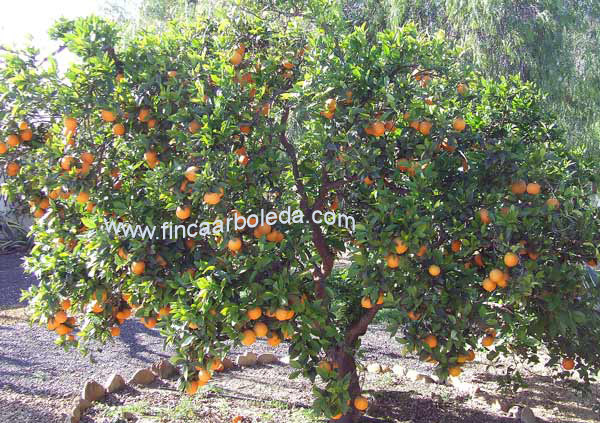 There are 25 citrus trees with Oranges, Mandarins, Satsumas and Lemons. We also have Apricots, Figs, Pomegranates, Mulberries, Plums, Pears and Vines. Please help yourselves to any fruit that is in season. Cycling. 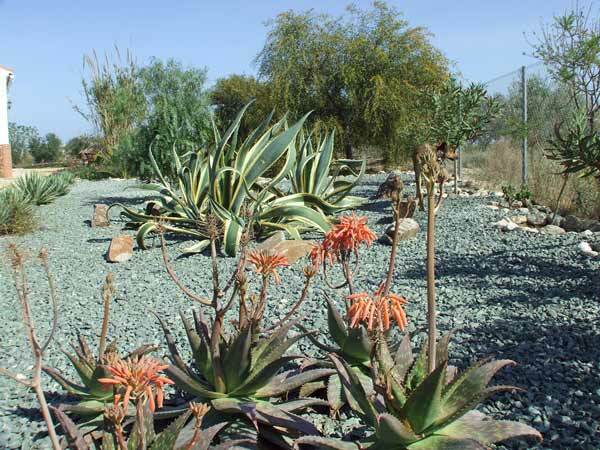 The area is great to explore by bike and we have 2 fairly old mountain bikes that you may use. Stig, was our friendly Lurcher, a stray who came to stay. 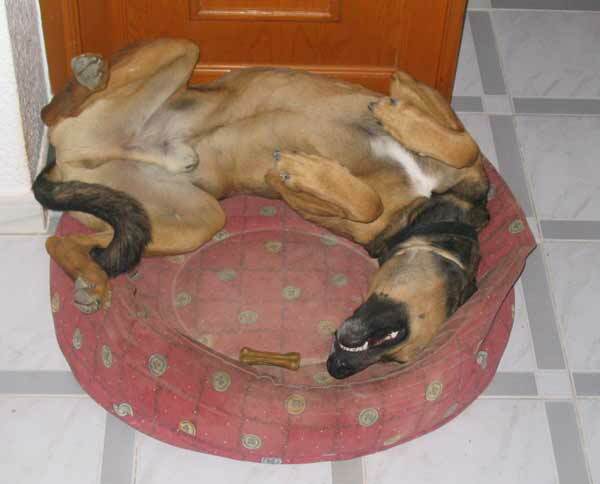 He was a cross between a Greyhound and a Belgian Shepherd, had the most wonderful temperament and was loved by most people, read the guest book! He passed away in November 2018. 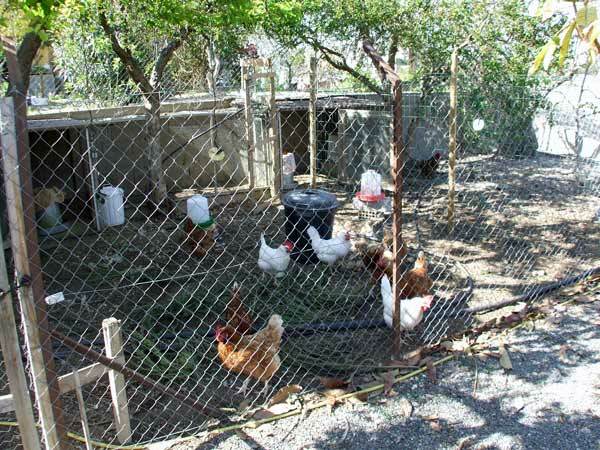 Chickens, we have friendly Hens, who produce lovely free range eggs, a great breakfast when cooked in our olive oil. We, Mick and Pirkko have lived here since January 2004 and have offered holiday accommodations since later that same year. Pirkko is Swedish and Mick is English, we met in Stockholm in 1996 where Mick was working. We moved to the UK in 2002 and after a few months decided we wanted to make a complete lifestyle change with a bit of sunshine as an added bonus. Spain was the choice, we looked at areas from the Costa Blanca all the way to the Portuguese border but kept coming back to the Costa Almeria area and Vera in particular which was more rustic and less developed than the other Costas. 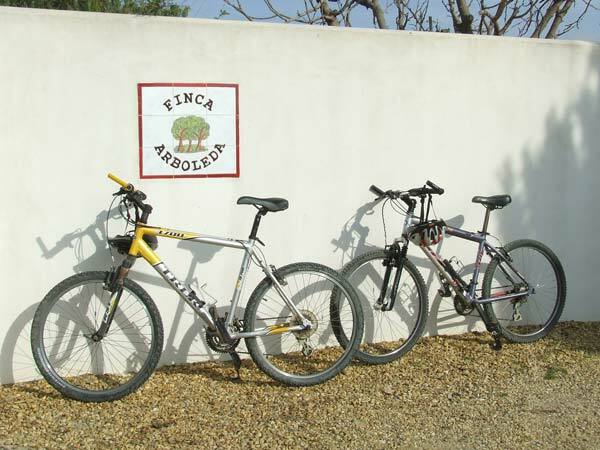 We had spent 18 months looking for a home that we could use as a holiday let and just when we started to think it wasn't going to happen we found Finca Arboleda. 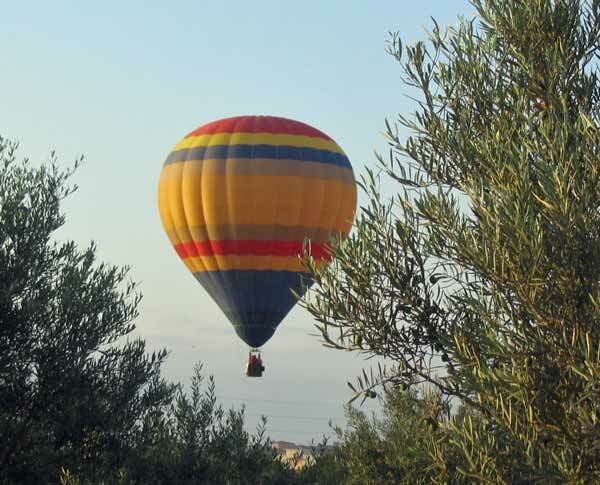 It was a beautiful sunny November day, a cloudless sky, the Mediterranean deep blue in the distance and trees loaded with Oranges, Pomegranates and Olives, after 9 months of hard work we were ready to go but have been making improvements ever since. We are sure you will enjoy staying here as much as we love to live here.